... You can not get your dog out? ... Have you celebrated good times? ... You must be absent and nobody can take care of your cat? 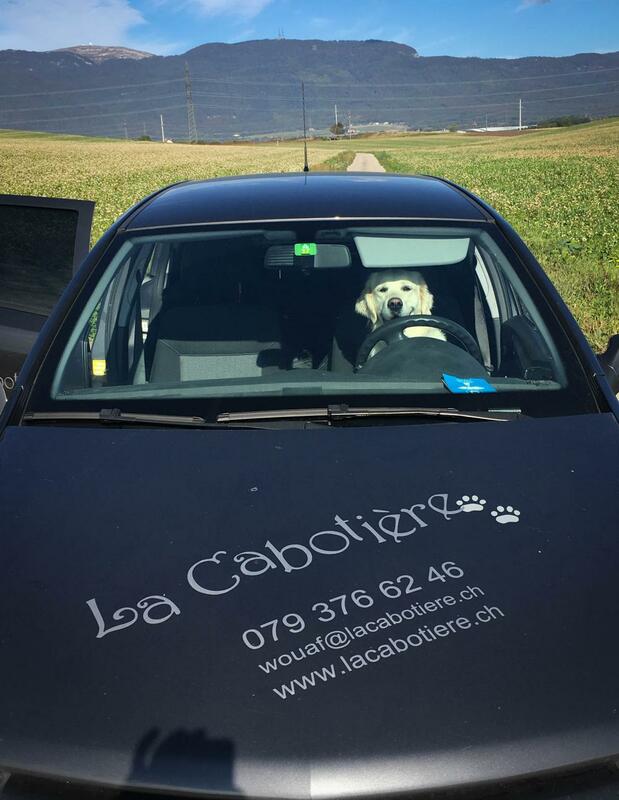 La Cabotière proposes to take care of your companion on all fours! In a walk, a maximum of five dogs is admitted, thus guaranteeing an excellent quality by allowing to take care of and to play with each one. The ride is made on a leash or in freedom, in agreement with you, and the duration is adapted to the needs of your pet. The vehicle used for transport is fully equipped and approved by the SCAV (Consumer Affairs and Veterinary Affairs Department). It can pick up your pet directly to your home to go to the countryside and bring it back to you. Starting at 35.- for 45 'minimum and 23.- for 15'-20'. The rates are decreasing in case of regular walks. On request, possibility of educational walk, accompanied or not, of the owner. Cats, rabbits and other small animals are also friends of La Cabotière! We can visit your companion during your absences to feed him, cuddle him, clean his crate. From 25.- the service, which includes the possible exchange of mail, watering plants, etc. All rates are indicative, in Swiss francs and subject to change. Do not hesitate to contact us to find a solution adapted to your needs!